I decide to rent a little floating craft and go on an adventure. Equipped with my mask and my snorkel, I want to join Gili Meno from Gili Air. Before that, I ask some local people if it isn't too dangerous, as I am worried about the current. They laugh at me, wondering if I have lost my mind: I should rather stay on the island and enjoy the beach... But I'm a little bit reckless, so I decide to give it a try! First, I will go to the east coast. My plan is to circle around the island, and then head north. From there, I will begin my journey towards Meno, hop off, have lunch, enjoy the beach, and go back to Gili Air by mid-afternoon. I am ready to go! An hour later I arrive on Seri Resort beach. The crossing was a great experience. I initially passed the reef where I saw a turtle, some colorful fish and the open sea. There was a little current but it wasn't such a big problem! 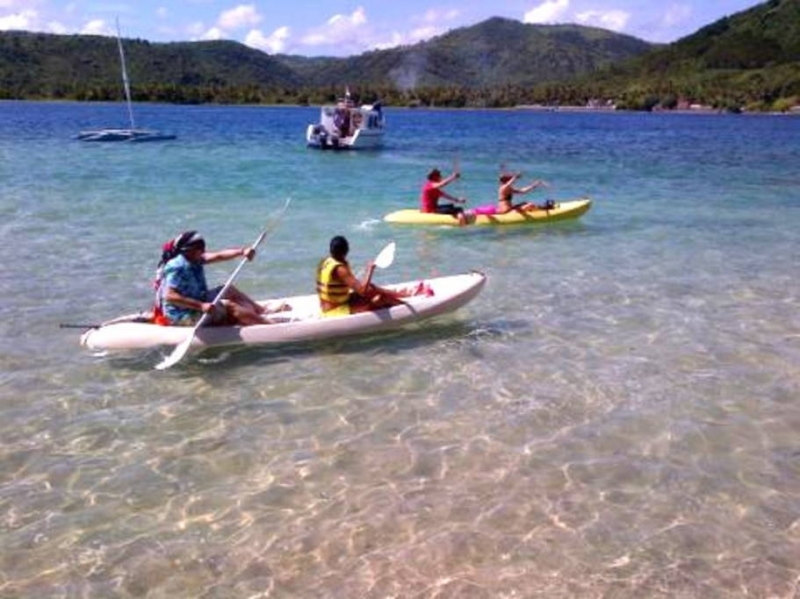 You can rent kayaks on Gili Air and Gili Trawangan.